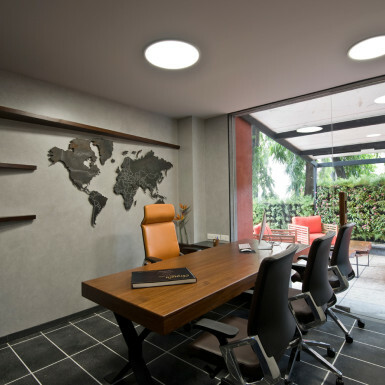 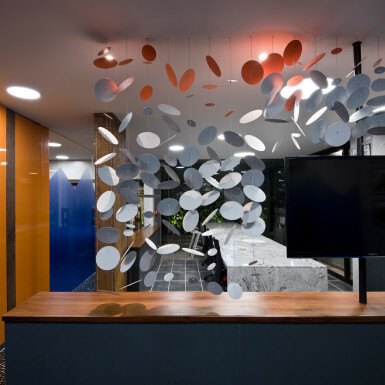 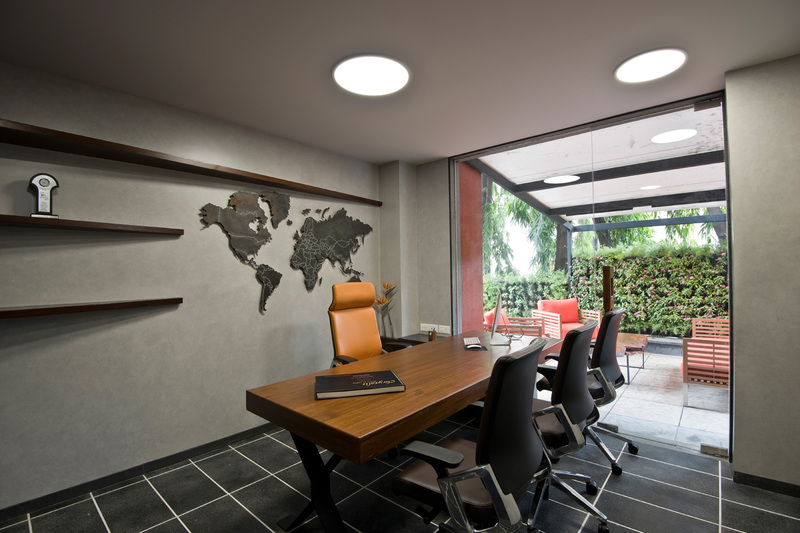 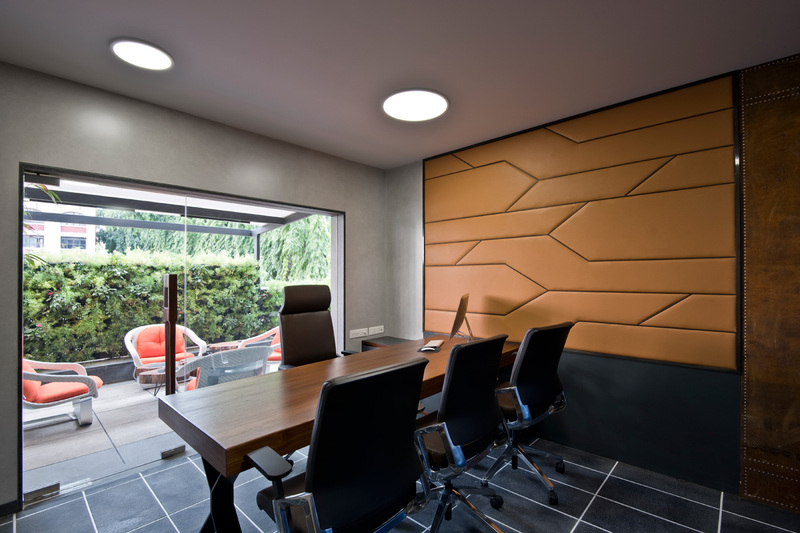 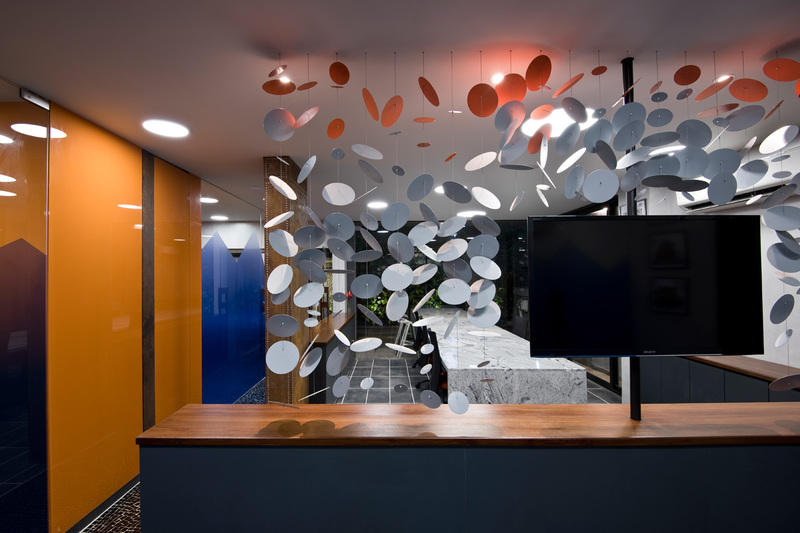 This design is an attempt to infuse elements of vitality, freshness, dynamism and surprise in the whole office. 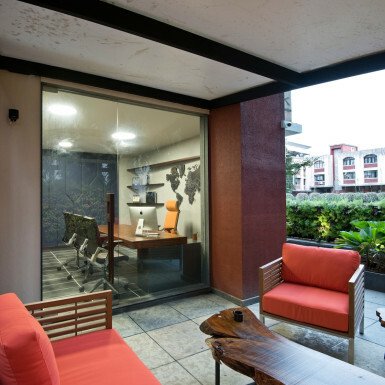 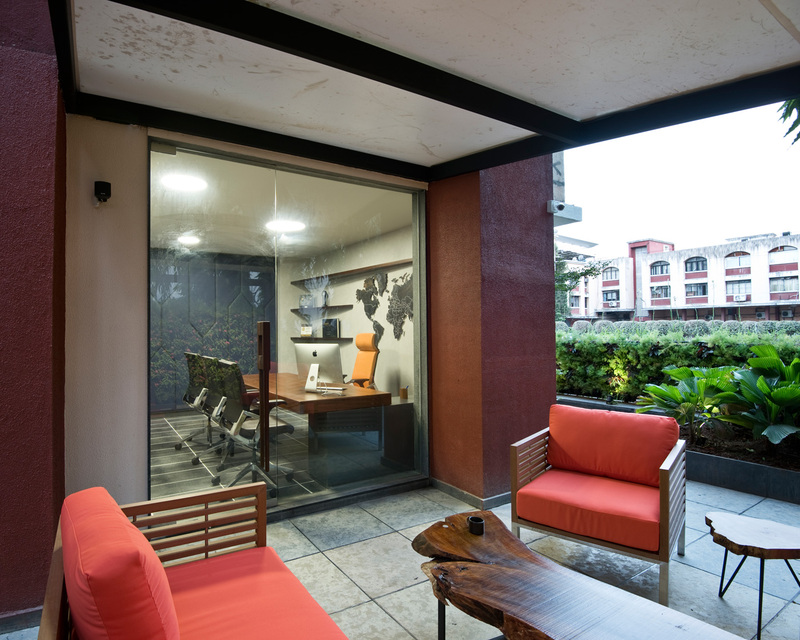 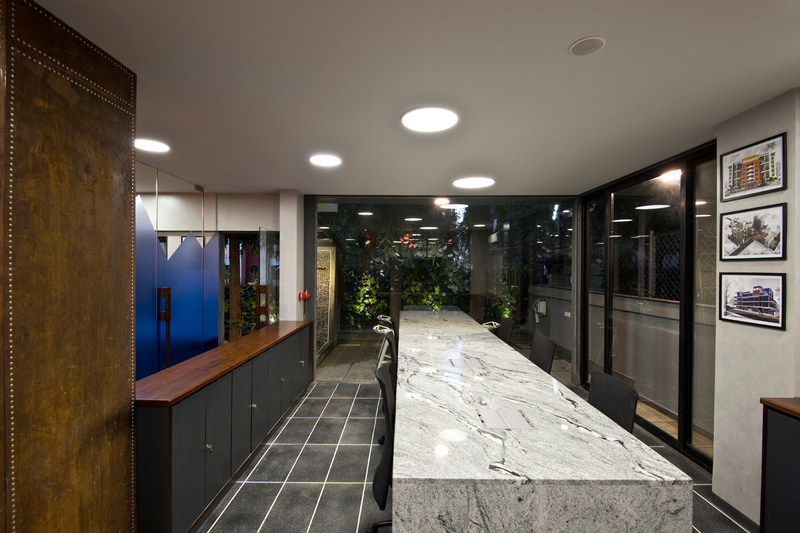 The layout of this small office is generated such that each space has exposure to the external glazing and the garden around the office. 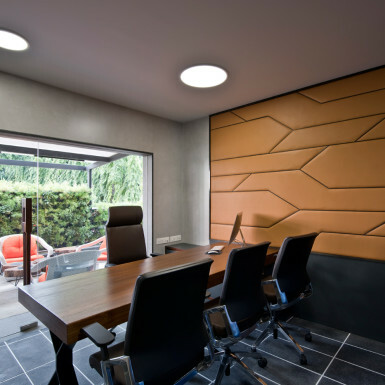 This helps in making use of natural daylight and also to achieve better visual and physical integration with the outdoors. 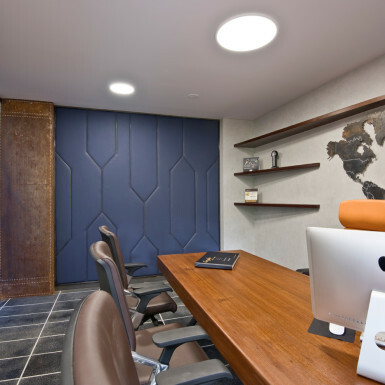 The circulation path within the office is strategically planned which makes all zones easily accessible with minimum movement within the office. 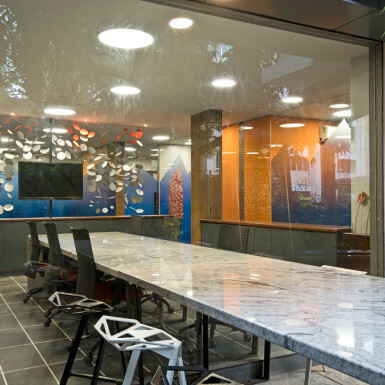 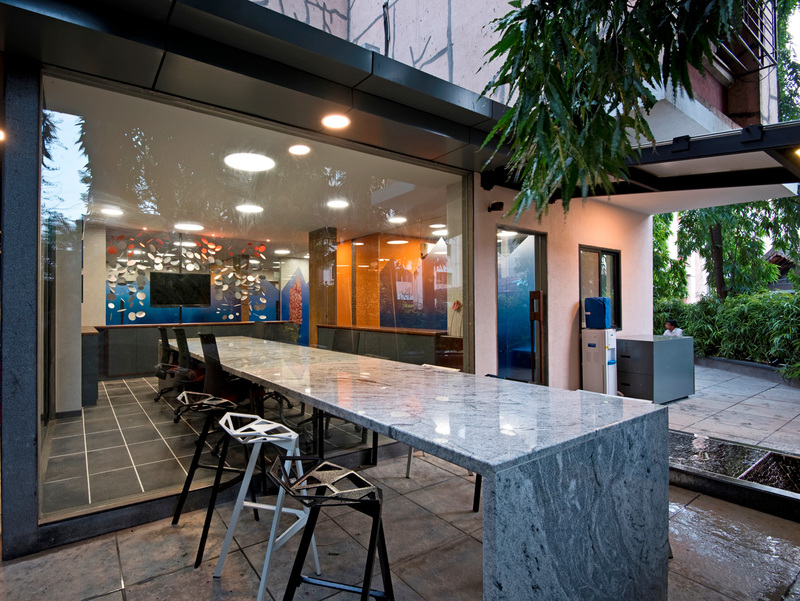 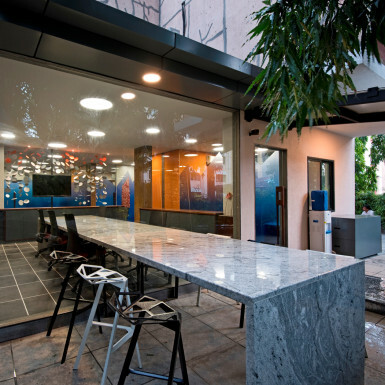 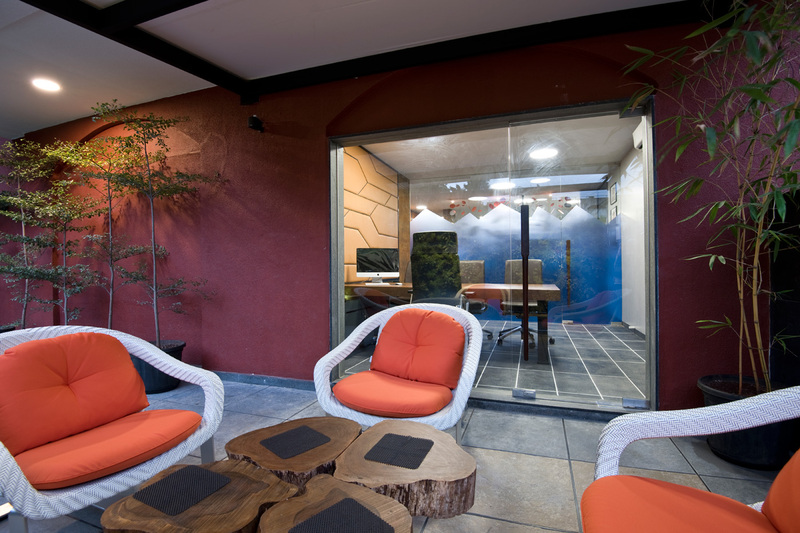 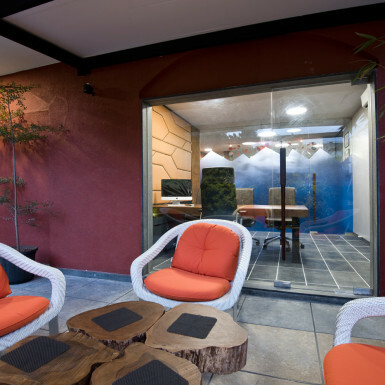 The director cabins and workspace has visual and physical outdoor extensions to the garden thus providing relief and acting as effective break out areas. 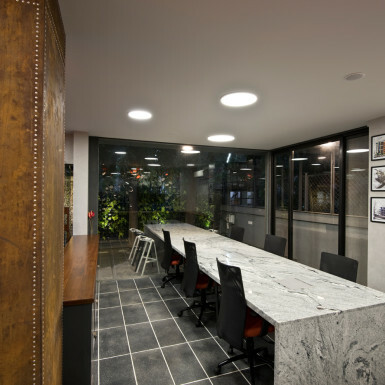 A contemporary space is created using effective combinations of textures, materials and components in this compact space which grants it a rustic language. 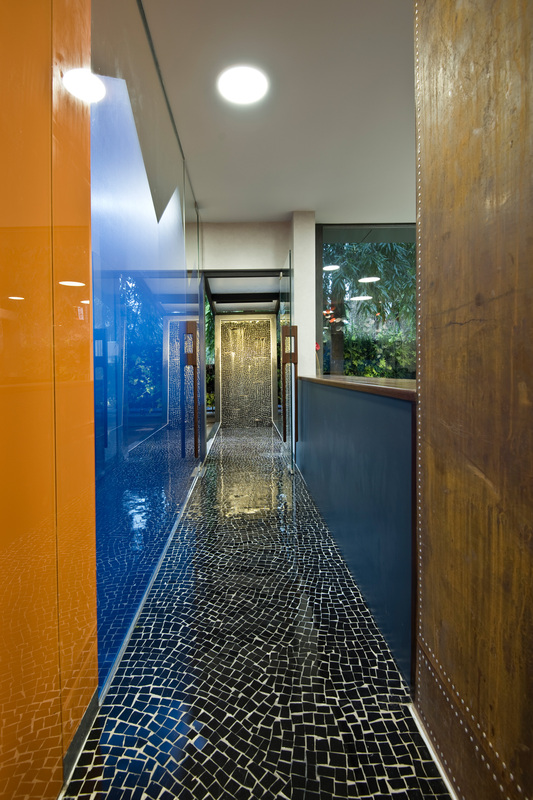 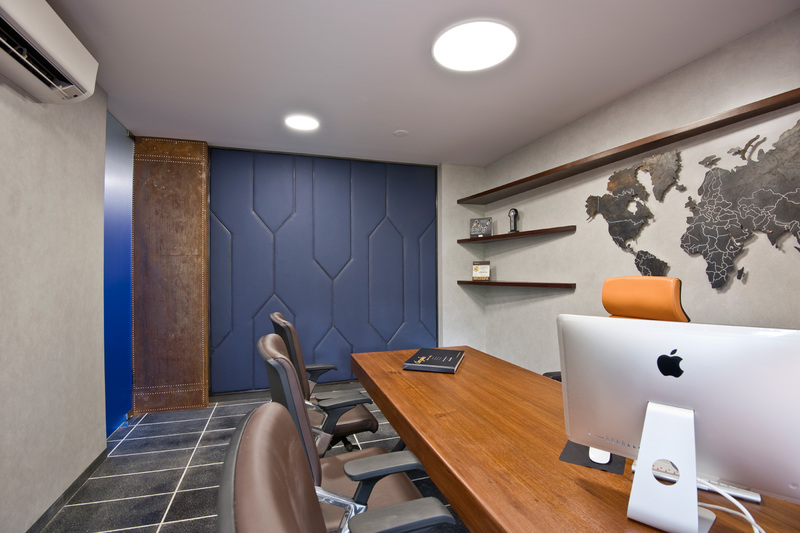 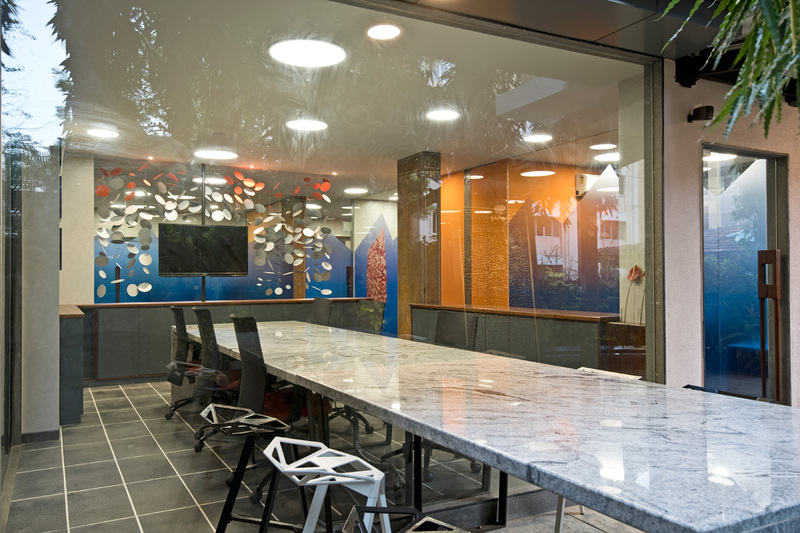 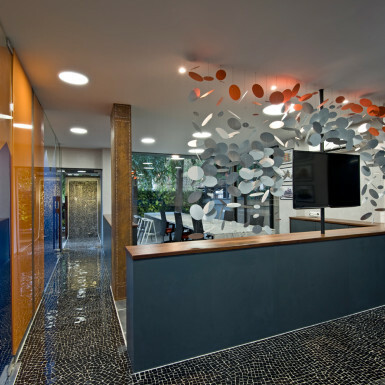 Corten steel, teakwood, natural black stone and black mosaic flooring are used throughout the office. 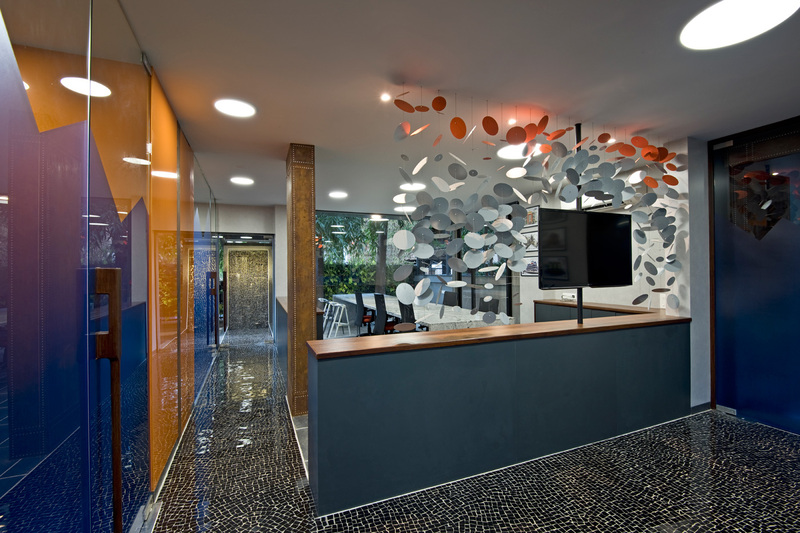 The bright colors used adds vibrancy to the office. 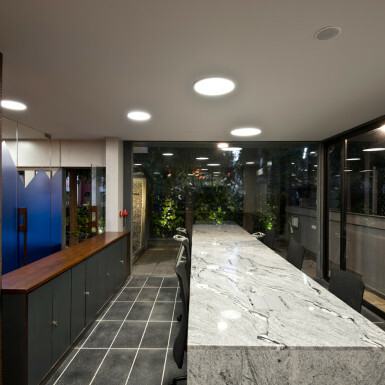 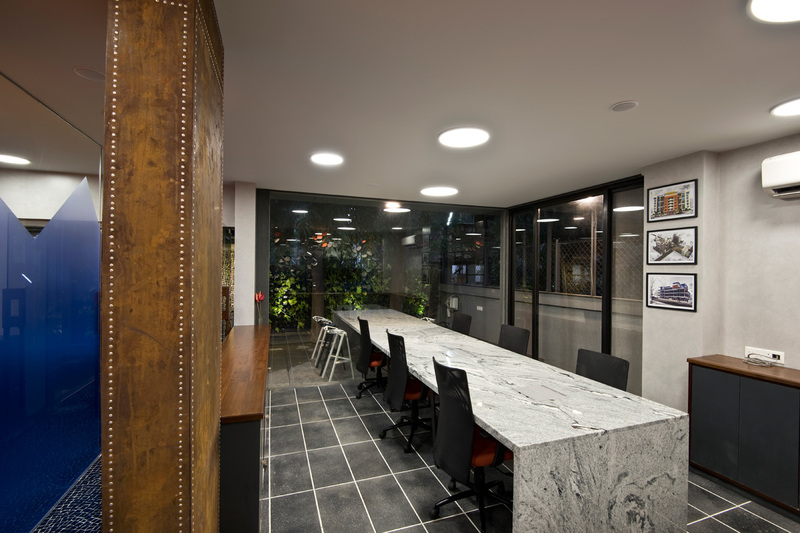 The work top in the work station area is solid 5 cm thick granite with pop up boxes for electrical and cabling route carved in the thickness of the slab. 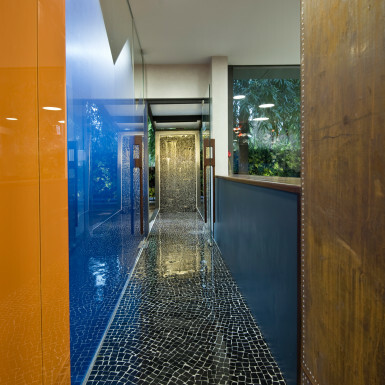 The detailing, use of materials, finishes, textures and colors occur and recur in all the spaces and lend a sense of homogeneity – a guiding principle from the very outset of the planning exercise.